Valentine's Day is coming really soon. And I'm pretty sure that you're already planning for that special day for your significant other. And since hearts day falls on a Saturday, why don't you bring them at SM Mall of Asia and have an Italian feast at Bistro Ravioli? 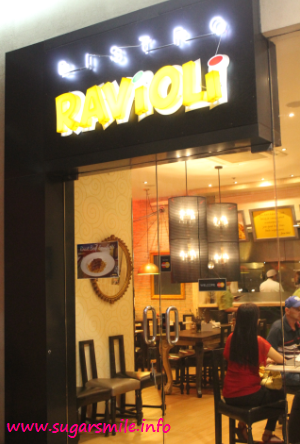 Bistro Ravioli is a quaint restaurant at Mall of Asia that serves mostly Italian food like pasta, pizza, ravioli and yummy desserts. They have been around for five years and the ambiance of their store is perfect for intimate gatherings, especially this Valentine's Day. Every month, they prepare a special that is not in their usual menu. And this love month, they are offering the Roast Beef Spaghetti (Php295). What I love about their pasta is that they are hand made. Their pastas are created the same day so you can be sure on how fresh the ingredients are. The serving is also good for sharing, so their dishes give value to your money. My boyfriend loves spicy food, so the Spicy Chorizo Pizza (Php450) is perfect for him. Bistro Ravioli's pizzas are brick oven baked so it's crunchy on the outside. Its Valentine treat, the Tiramisu, is not like your usual dessert. Topped with dark chocolates, it balances the sweetness, and makes it rich and flavorful. This is also best served with coffee. Another special that is not at the menu is the Decadent Chocolate Raspberry Cheesecake. I actually never though that a cheesecake could look dark, but this one is for the win. This is also rich in ingredients as you can taste the cheese and raspberry come good together. Make sure to ask for this one to cap off a special evening. So if you're one of the people who wants something intimate, visit Bistro Ravioli now at the Mall of Asia North Building. To know more about Bistro Ravioli, you can visit their Facebook Page at https://www.facebook.com/bistroravioli. 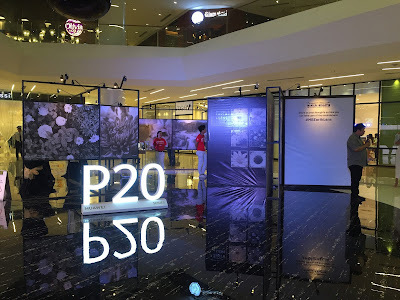 Also, see https://www.facebook.com/mallofasia for updates and other promos this Valentine weekend.